One of the interesting parts about being in politics is the interaction with the media. It is always important to realized that somehow the reporter will have to squeeze what you provide into a very short space. I thought I would provide you a non-controversial interaction so you get an idea of the translation process. The interactions that took place for an article published today (Monday Jan 4th) in the DDN were an email from the reporter and my response. The Dayton Daily News is compiling a story that will look ahead to the “big things” facing our key communities next year. The story will touch upon large/exciting projects, ballot issues, anticipated legislative changes and any challenges you expect to tackle in 2016. 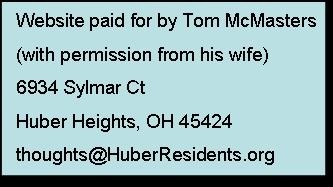 Please respond to this email with a quote and/or information you would like to see included in the story. The tentative plan is to run the story Monday and, with the holiday at the end of the week, we need to hear back from you as soon as possible. 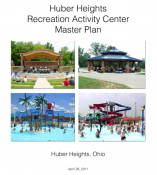 This ­should prove to be a great planning year for the City of Huber Heights. We have recently opened the request for proposals submitted in December to develop a plan for revitalizing the core of the City. This year the Library should be starting hot and heavy in seeking an area and design for the new Huber branch. A successful season has already prompted interest from a hotel developer for property next to the Music Center and the Cafarro Investment Trust has been introduced by the Heights developer to spur progress on that project. With the election of new council members I expect we will publish our financial information so that even a casual observer can understand our plan to pay off the debt associated with all the city sponsored projects while still maintaining basic and essential city services. 2016 will prove to be the year when we lasso all the grand ideas and pull them together so we can begin to move forward in a coordinated and fiscally responsible fashion to ensure a prosperous future for the city. A new library is to be built in ‍Huber Heights, and the city has proposals for revitalizing the city’s core in 2016. A hotel could be built near the Rose Music Center, officials said.